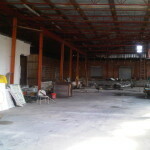 11,891 sq ft warehouse on 14,157ft. lot. 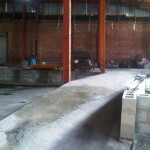 Six inch concrete floor, concrete walls and new steel roof. Concrete block side wall just rebuilt in Sep. replacing original 1926 wall. Horseshoe loading docks inside. 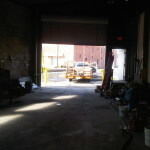 Multiple exterior roll down doors on three sides of property. 16′ interior celing heigth. 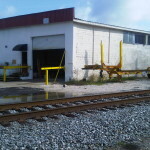 Zoned Industrial – great location 1 mile from I-95, 3 miles from I-10, 2 miles from Tallrand Port. 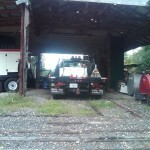 Sits directly next to active railroad track on one side and railroad spur with crossing arm on other side. This Building is in The City Enterprise Zone offering great tax & employee benefits. Also in Federal HUB zone qualifying for Federal Minorty contracts. 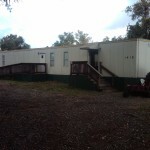 .32 acres with 5 room mobile home used as an office. 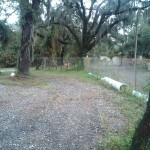 Also has a barn, and a shed, completely fenced in yard with 2 gates for truck and trailer entrances plus a third pedestrian gate. Federal Hubzone Construction company available for sale with property (additional cost) or to be sold separately. 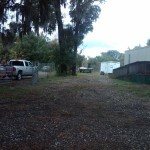 Major railroad borders property, very close to Jacksonville ports. Located in the Federal HUB zone qualifying for Federal Minority contracts. 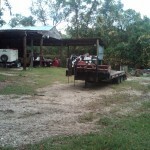 800sf Office space and 3000sf Shop or Barn space avail for lease. 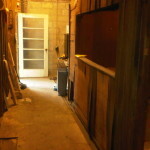 500sf of shop space has been newly added.